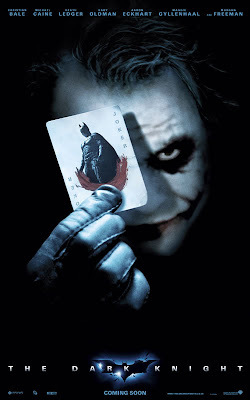 "Y'see, Madness, as you know, is like gravity. All it takes is a little ... push." Which set me thinking (after the film had finished!) about how when I'm writing I like to think up stories where I can show a character's inner emotions. What's ticking inside that needs a push to be revealed? I like to think of scenes that are Emotional Gravity Wells. All I need is to direct my character towards them like little quicksand pools in a jungle waiting for the tread of feet and then down they go to reveal madness, fear, lust: whatever is beneath those traits that they teach you to do on writing courses. Well he likes cheese on toast, has blue eyes, watches EastEnders blah,blah,blah ... nudge them out of the workshop, pull all hope from them and see what lurks beneath. A wonderland of chaos that is struggling to form an identity that is a human being: a coherent pattern in a mind that is splintered. Of course a Gravity Well is in another way of saying a black hole - from which there is no escape. So then I'm left with: Do I let them out or not? A happy or sad ending? Or do I write it so it appears to be a happy ending, but look deeper into the well and all is not what it seems? So if you're writing, or plotting a story - why not nudge your character along to a Gravity Well and see what happens? You may need to be subtle and cover it with sticks and scrub - your characters may not want to go down if they see it there in the story. You do know your characters take on a life of their own don't you? Or have I fallen into madness? Give me a hand out somebody. Mike, every character, like every person, needs a bit of madness. If I'm exploring the wild side, though, there's always more than enough chaos and insanity for total, irrevocable devastation. When I attempt this, however, it's usually boring--more boring than sad or even stupid. We writers, I think, need to remain lucid, or at least know how to get back there. And this next warning goes out for everyone (though no one needs these cliches more than me): When playing with fire, be careful! I think in terms of creating conflict, whether it be internal, external or both. Without this -- or without some type of fall -- there can be no growth. Seriously, though, it's an excellent point. I'd never thought of shoving my characters down a well - but now I'm definitely going to look into it! Don't get to close to the well yourself Stella - we need a sane Stella here to keep us all in check! Someone told me recently to develop characters I needed to, "make awful things happen to them, and then push them just a little bit more." Thinking of it this way as 'black holes' to claw their way out of, has made that statement much clearer why. perfection requires a touch of madness. Gary : Yep I'd agree with that! Stella : Haven't you discovered your super powers yet Sanity Check Girl? I thought you knew? So those rambling prophecies... are true?